It was 1941 when a group of determined school teachers filed a charter with the State of Texas to create the Fort Worth Children’s Museum. The museum was to be a place to house collections and share knowledge and appreciation of historical, artistic, and scientific interests. The Shirley Temple doll and, yes, the Red Ryder BB gun immortalized in the 1983 film “A Christmas Story” were top selling toys of the era. The age of science and technology was only dawning, and few could have envisioned the rapid advancements to follow that would usher in the information age before the end of the century. The Fort Worth Children’s Museum quickly adapted. In 1968, it became the Fort Worth Museum of Science and History and grew to inspire future astronomers, engineers, educators, and leaders. The age of information morphed into the digital age of today in the early 2000s with far-reaching implications for technology, education, and society in general. 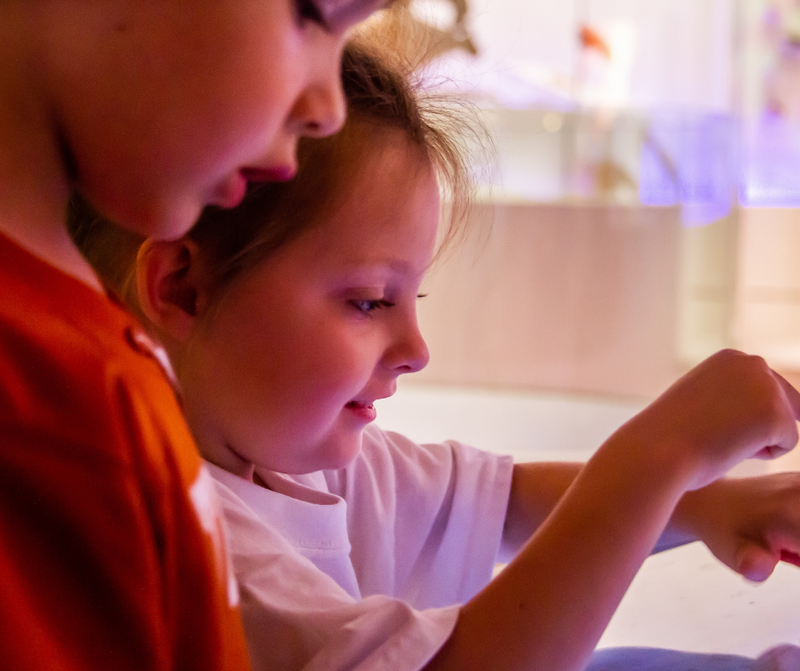 In 2014, The Fort Worth Museum of Science and History sought to explore the digital revolution and its impact on culture. Learning Crossroads: The Digital Future was a national forum that brought together thought leaders from MIT, Lucas Educational Foundation, Stanford, and Harvard for a conversation on the future of digital learning for children. That commitment led to the creation of the Academy of Digital Learning (ADL), headed by Dr. Doug Roberts, Ph.D., the Museum’s chief of technology. ADL builds on museum tradition as guests will continue to be engaged as active, creative learners, and activities and programs will appeal to all ages. 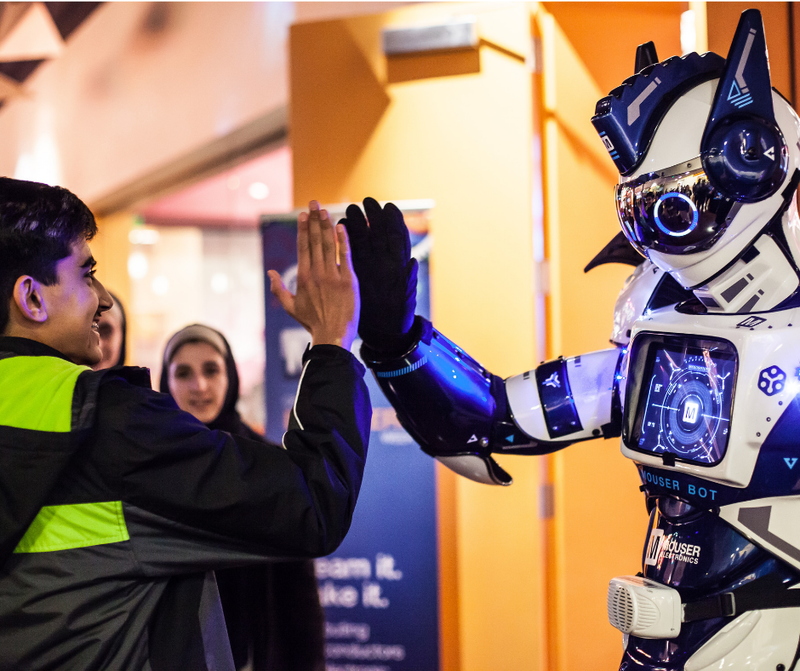 But the Museum is aiming to ignite the interest of children and teens in science, technology, engineering, and math topics. The Hammett-Russack Academy of Digital Learning Laboratory was established at the Museum in 2017 and is staffed by Roberts and a team of young scientists. Today’s museum guests use technology very differently than visitors of even a few years ago, and ADL is leading the way in transforming Museum exhibits and galleries to accommodate expectations; in fact, the work of the ADL team is already evident in those spaces. A renovation of the Museum’s popular DinoLabs gallery completed in 2018 represents the integration of technology into museum collections. In this interactive digital world, movement and technology create an immersive space with the seamless integration of dinosaur specimens and artifacts. DinoStomp and DinoLand provide an opportunity to develop logical thinking, spatial intelligence, and the power of expression. Guests of all ages move with dinosaurs from the Mesozoic era at the giant-screened DinoStomp, an interactive experience featuring an imaginary 3D landscape. Motion recognition cameras follow and mimic the action of users as they come within range of the Dino Stomp sensors, enabling the dinosaurs to roar and leap in response. In DinoLand, artwork comes to life in a mixed-reality experience that allows visitors to enter an immersive theater space and interact with a prehistoric scene projected on an oversized wall. 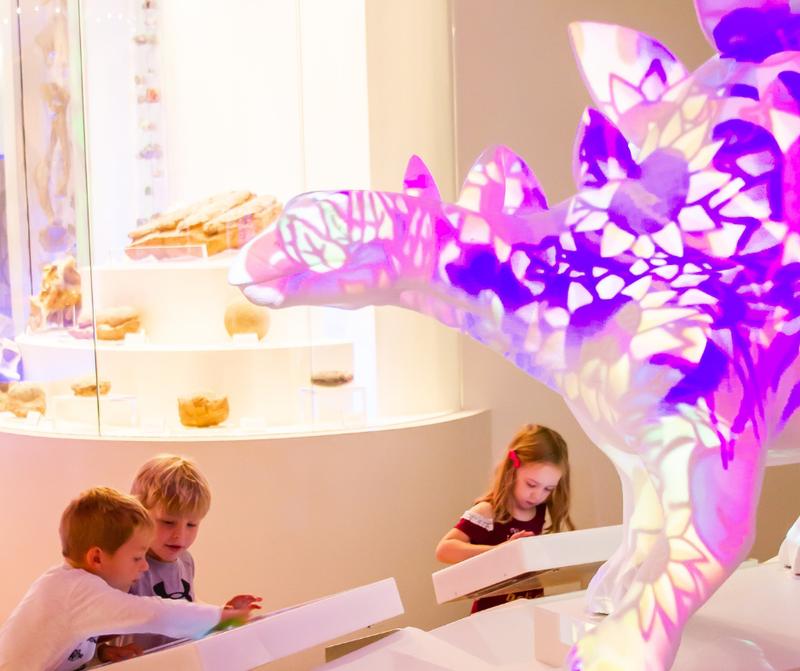 Perhaps the most ambitious of the interactives in the DinoLabs gallery is a first-of-its-kind stegosaurus named DinoGlow, a 3D-video projection mapping activity that is fully responsive. The sculpture is surrounded by touchscreen monitors that control separate projectors mounted above the dinosaur canvas. Guests can control colors and textures to create a dinosaur as whimsical or realistic as they wish. The work also extends into the community. ADL staff facilitated an after-school experience teaching computer science to students at I.M. 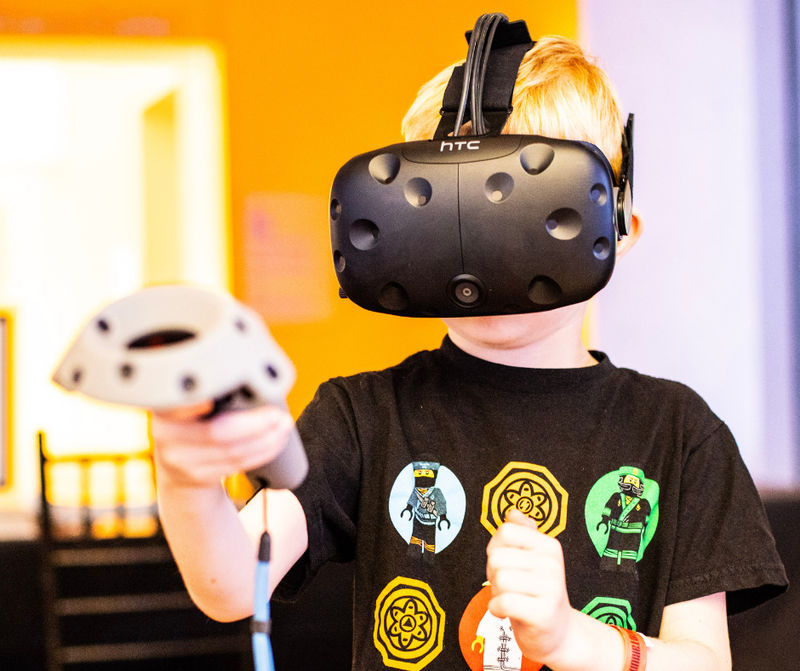 Terrell Academy for STEM and VPA, a local STEM and arts high school, and college interns helped to create the technology behind new user experiences for Infinity Festival and Launchpad, a new exhibit that opens this spring.